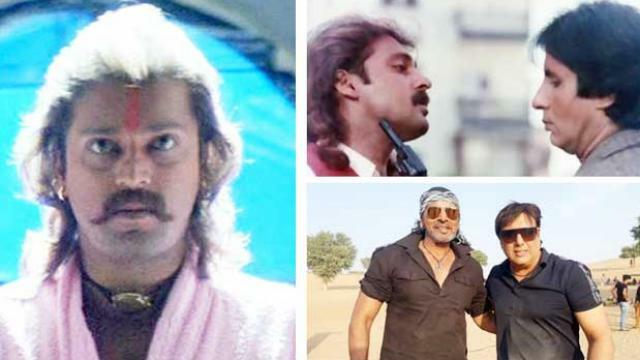 The Bollywood popular onscreen villain from 1990s, Actor Mahesh Anand Passed Away on Saturday. The actor was a popular face during the 80s and 90s. Mahesh Anand died at the age of 57. He has worked in many hit the Bollywood movies including Coolie No 1, Swarg, Kurukshetra, Shahenshah, Vijeta and many more. Mahesh Anand has shared screen space with stars like Amitabh Bachchan, Govinda, Sanjay Dutt, Sunny Deol, Dharmendra, and many others. Mahesh Anand Actor reportedly used to live alone at his Versova residence, and the exact cause of his death has not been known yet. His body has reportedly been taken to Cooper Hospital for postmortem. Even his ex-wife, Usha Bachani was not aware of his demise. Speaking to Peeping Moon.com, she said, “I was unaware that he passed away. We are not in touch since 2002”. The Reports also suggest that Mahesh Anand was facing some financial crisis too. In an interview, the Mahesh Anand actor revealed that he didn’t have movie offers for 18 years and at that time he used to take part in wrestling matches in the order to earn bread and butter for himself.